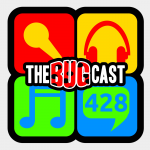 This week on The Bugcast: baking off, running off, flying off, hashtagging off, plus 8 great tracks of Creative Commons music! MyDonate: Caroline running the Sheffield 10K for Sheffield Futures – please support her effort! 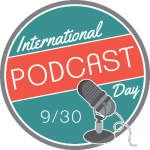 The next live show will be episode 429, broadcast live in the chatroom on Friday 30 September 2016 at 21:30-ish UK time (BST/GDT/UTC+1).